There is an additional complication regarding dates. Tsarist Russia used the Julian calendar which at this point was 13 days behind the Gregorian calendar used by most of the rest of the world then and now. Therefore the key events of the “February Revolution” actually happened in March if you use the modern dating [and anyway, the abdication of the Tsar took place in March whichever calendar you use]. Similarly, the “October Revolution” took place in November in the modern calendar, which the Bolsheviks introduced from the start of 1918. In short, don’t get confused by this issue. The examiners tend to either use the “new style” dates (March and November), or to put both (“October/November”). I’ve used “old style” dates here. The sequence of events in February-March 1917 is complicated but can be boiled down to four key developments, in roughly chronological order. A good answer to a question about the fall of Tsarism needs to account for all of these. 1. 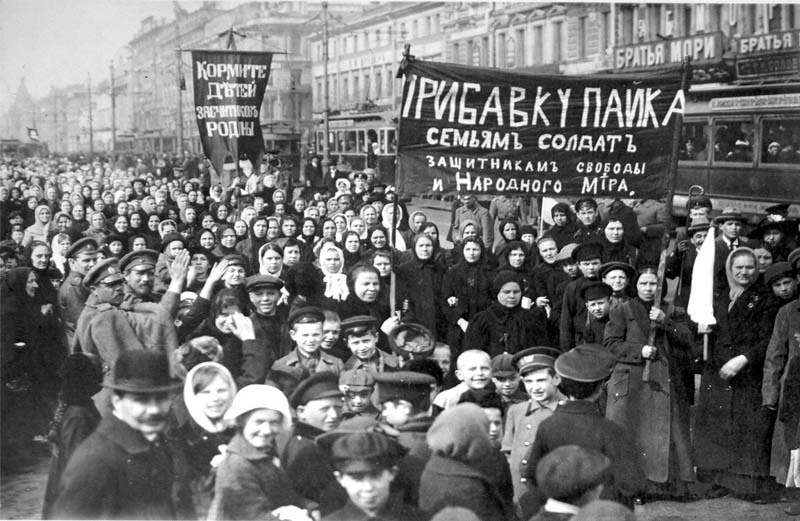 The working class – the emergence and escalation of mass demonstrations and strikes on the streets of Petrograd from February 18th (old style) onwards. Economic grievances about food shortages and other issues shifted rapidly into political demands. On February 27 the Petrograd Soviet was formed as an organisation to represent this working class movement. 2. The failure of repression – the regime’s attempts to disperse these demonstrations with repressive force failed, as police and army garrison units refused orders to fire on grounds and mutiny spread. Note that this was NOT a full-blown army mutiny – this only involved a few critical units in the capital itself. 3. Defiance in the Duma – when the Tsar ordered the Duma to dissolve, 12 liberal members disobeyed and remained in session as a “Provisional Committee”. This is significant because it marked the first open constitutional defiance of the Tsar and meant that a potential alternative government was now established – this committee became the Provisional Government by default after the Tsar abdicated. 4. The ruling elite desert the Tsar – government ministers abandoned their posts and slipped out of the capital. Generals from Stavka (the army high command) and leading Duma loyalists advised the Tsar that he had no option other than to abdicate. This is significant because it shows that, in contrast with 1905, the regime had no stomach for a fight and had lost the will to maintain itself in power. This resulted in the bathetic end to 300 years of Romanov rule, when the Tsar meekly signed his own abdication in a railway carriage outside Pskov. This analysis is very helpful because it maps out the different groups of people whose actions you need to be able to account for: workers [in Petrograd], soldiers [some of them], Duma liberals [some of them], and the ruling elite. Points (3) and (4) are particularly important to take into account because they indicate that the fall of the Tsar was not solely caused by demonstrations on the streets of Petrograd – divisions and loss of confidence at the top were also decisive. Note also the groups of people who were NOT directly involved in the fall of the Tsar: peasants (the revolution happened in the capital), national minorities (ditto), and revolutionary parties – they followed the masses rather than leading them (although you could argue that the creation of Soviets was a crucial step in organising the workers’ movement, and that at this point Mensheviks and other socialists took a prominent role). This analysis therefore sets the agenda for explaining the fall of Tsarism – you need to be able to account for all of these four key developments. It also will enable you to take the vital step of linking the causal factors you identify to the SPECIFIC events of February/March 1917 – this is essential to writing a good essay on this subject. Otherwise, you risk detailing a number of issues that caused problems and discontent in Russia without actually showing HOW they led to the fall of the regime. A good rule of thumb is to avoid writing about “the people” – the Russian population was too diverse in social and other terms for this generalisation to be helpful. Write instead about specific groups of people – workers, liberals, peasants. Don’t give the naive impression that you think the Tsar fell because all the people of Russia were crying out for change and wanted revolution. We can now build on this analysis to suggest explanations for each of these four key developments. 1. Why were there mass demonstrations of workers in the streets of Petrograd? 2. Why did army units mutiny rather than suppress the demonstrations? This is harder to explain. We could point to the defeats and casualties suffered in the course of the war, and to the increasing professionalisation of the armed forces from the 1900s onwards rendering it a less compliant tool for the suppression of internal dissent. However you need to be careful not to suggest that the army as a whole mutinied – it did not. 3. Why did some liberals in the Duma defy the Tsar? the manifest failure of the Tsar and his government to prosecute the war effectively. National survival was at stake, and patriotic liberals were coming round to the view that Russia would be better off without the Tsar. 4. Why did his ministers and generals abandon the Tsar so readily? again, the Tsar’s personal failure as military commander led patriotic generals to conclude that Russia would be able to fight the war more effectively without him. 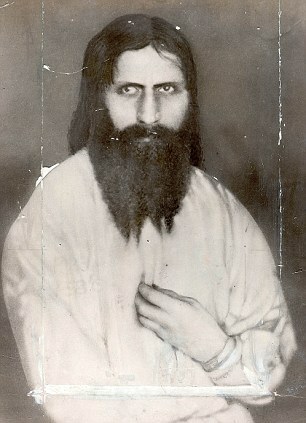 scandals associated with the Tsarina and Rasputin had tainted the monarchy and the traditional respect it was held in. Russia suffered serious defeats and loss of territory, particularly in 1914 (defeated invasion of East Prussia, battles of Tannenberg and the Masurian Lakes) and 1915 (the Great Retreat from Poland). Don’t overstate this though – Russia had not “lost” the war, and in 1916 was capable of launching the major and (temporarily) successful Brusilov Offensive, that came close to knocking Austria-Hungary out of the war. 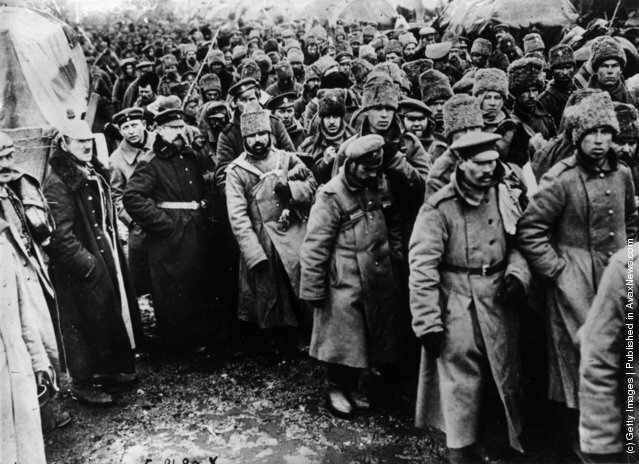 These defeats highlighted basic weaknesses of the Tsarist state and its conduct of the war: incompetent command at all levels, and poor internal communications leaving troops lacking basic supplies). With these defeats came huge losses for the army: in 27 months of fighting, Russia had lost 1.6 million soldiers killed, 3.9 million wounded, and 2.4 million captured. Russia’s poor military performance undermined the initially almost universal patriotic enthusiasm for the war, and increasingly focused criticism on the government’s conduct of the war and the failings of the Tsar himself after he had taken personal command of the army in 1915.
defeatism and pessimism spread in the army, leading to some desertions and mutinies – although the army as a whole had not collapsed by February 1917.
prolonged “total war” placed enormous strain on the finances and economy of Russian. 15.3 million Russians in total were called away from economically productive activity to fight. Government expenditure increased by 800%, these costs being met by loans, borrowing from the UK and France, higher taxes, and by printing money. a simplistic interpretation is that the weak Russian economy was incapable of dealing with the demands of producing sufficient munitions and sufficient food, and that economic collapse not only impaired the war effort but led to shortages and starvation. Note that it appears that the AS examiners expect you to treat the war as an “external factor” over which the Tsarist regime had no causal control. I don’t agree with this, and you could make the point that it was no accident that Russia found itself engaged in the First World War, referring to the militaristic and imperialistic ambitions of the regime, the decision making of Nicholas and his ministers in July 1914, and the way in which economic modernisation funded by foreign loans had tied Russia closely into alliance with France. Nicholas evidently lacked, in a number of ways, the capacity to wield autocratic power effectively. You could point to a deadly combination of weakness, obstinacy, and intellectual inadequacy. However, this does not get you very far – you need to show HOW these failings led him to make poor decisions that caused his downfall. more concretely, a combination of Nicholas’ hardline commitment to maintaining the autocracy and his lack of strategic judgement had led him to fail to embrace political reform both before and after 1914. To substantiate this point you would need to refer to Nicholas’ repeated thwarting and subversion of the October Manifesto in peacetime, and in wartime to his refusal to work with patriotic organisations and the Progressive Bloc in the Duma. This squandered the mood of national unity and meant liberals had nowhere to go in 1917 other than opposition to the Tsar. civil government was largely left in the hands of the even more reactionary Empress Alexandra and the notorious Rasputin. The scandals associated with this pair tainted the prestige of the monarchy, and they presided over an unstable sequence of mediocre ministers. at a more tactical level you could argue that Nicholas and the regime did not appreciate the impending crisis in 1917, ignoring famous warnings like that of Rodzianko, and failing to act to pre-empt the unrest in the capital or to deal with it effectively once it was underway. This points the way to a more contingent explanation of the fall of the Tsar – that better on-the-spot decision making in February 1917 could have saved the regime. the rapid expansion of industry since the 1880s went hand-in-hand with the growth of a professional middle class and a large and militant urban working class, both groups whose fundamental interests placed them in opposition to the regime, and were (unlike the peasantry) able to organise and act against the regime. As we have seen, these groups played the central role in February 1917.
this is intrinsically linked to the long-term Tsarist policy of pursuing industrial development and modernisation within the framework of autocracy – arguably a fundamental and unsustainable contradiction. To put it slightly differently, in the long-term Tsarism failed to oversee economic modernisation, lacking the institutional capacity to manage a more sophisticated society or to promote fundamental social reform, and ultimately seeing repression as the only answer to the political tensions that industrialisation generated. you could also point to the long-term contraction of key social bases of support for the autocracy, principally the nobility, whose economic and social status had declined ever since the abolition of serfdom in 1861.
in a longer view you could see the fall of Tsarism as emanating ultimately from the abolition of serfdom: before 1861 all aspects of power and control in Tsarist Russia ultimately depended upon the institution of serfdom, and the regime never found adequate substitutes for them that could serve a more modern society and polity. I would encourage you to think carefully about these issues and make a decision as to which YOU personally find the most convincing. This will give you a strong line of argument that you can bring to bear when answering any question about the fall of Tsarism. You will note that these issues are closely linked to the debate about the Tsarist regime before 1914 which I have discussed previously. If you identify the war or Nicholas as the decisive factor, this implies that you believe Tsarism COULD have survived in more fortunate circumstances (with no war, or with a better Tsar) and that there was nothing inevitable about the February Revolution. If you instead prioritise structural factors, you will be arguing that Tsarism was doomed regardless – that the war was merely the final straw for the regime, or that even the most capable Tsar could not have resolved the problems he would have confronted. Focusing on Nicholas’ failings would align you with a liberal individualist approach to historical causation, that focuses on decision-making by key individuals at the top. In contrast, the structural explanation suggests a view of causation that prioritises larger impersonal social and economic forces. You can, of course, combine some of these lines of argument: for instance you could argue that the war was so catastrophic for the regime precisely because of its basic structural weaknesses – though as a broader comparative point you could also note that all four of the great empires of central/southern/eastern Europe collapsed under the unprecedented pressures of the First World War – not just Tsarist Russia, but the Hapsburg Empire, Imperial Germany, and Ottoman Turkey. I will conclude by considering the comparison between the crisis of 1905 (which the regime survived) and the crisis of February 1917 (which it did not) – one past paper has asked about this precise question, so it is worth being able to answer. the First World War was of vastly greater scale and threat to Russia than the Russo-Japanese War. Also, Russia could not readily bail out of WWI as it did in 1905.
in 1905, although there were some incidents of mutiny (most famously on the battleship Potemkin), the army remained loyal and fulfilled its role of suppressing opposition by force. In February 1917 this did not happen. 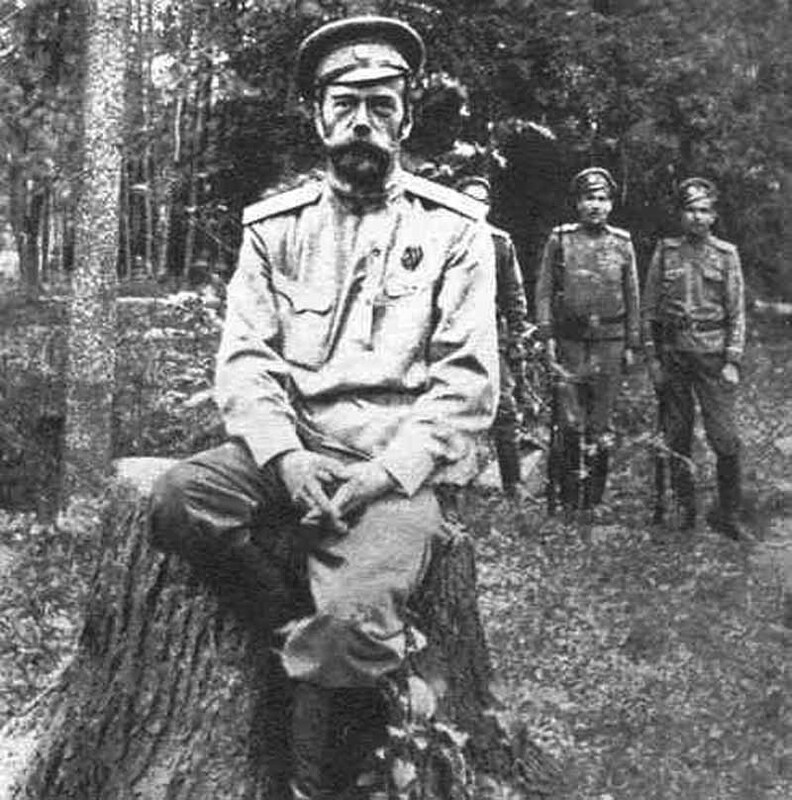 in 1905 the regime remained united and determined to fight for its survival; by 1917 ministers and generals were ready to sacrifice the Tsar. in 1905 the regime could make constitutional concessions in order to survive; it was not really possible to play the same trick twice, particularly after the Tsar had largely thwarted the constitutional experiment in the intervening years. in 1905 the Tsar could call on able ministers (Witte) who acted decisively and cunningly to preserve the regime; in 1917, there were no able ministers (and this was not an accident). None of these were possible in 1917. This entry was posted in AS revision notes, Russia and tagged AS revision, history, revolution, Russia, Tsarism, WWI by therationalcolonel. Bookmark the permalink.